Whether you’re a native New Yorker or a tourist looking to explore the wonders of the city, you will no doubt find yourself taking the subway. While there are certainly crazy NYC subway stories that’ll make you crave a cab, venturing into New York’s underground can be unforgettable for good reasons, too. 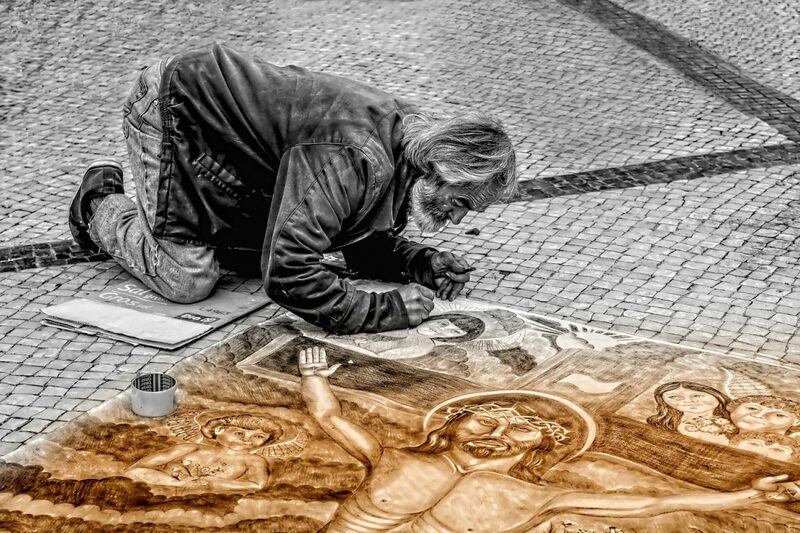 This is especially true if you’re into colorful creativity, as art in the subway abounds! 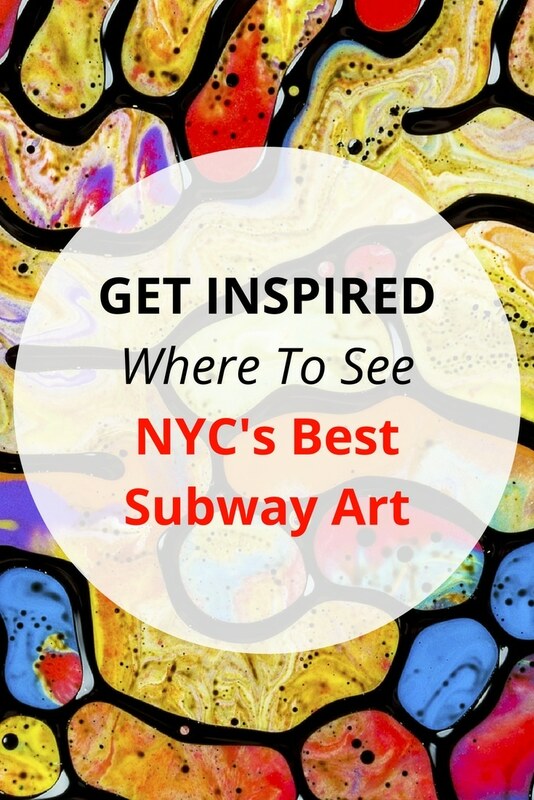 NYC takes its title as one of the world’s art capitals seriously, so expect to come across some of the finest art in the city just taking the subway. Keep your eyes peeled for the various gems that await — especially when it comes to the five installations listed below! Visiting New York? Don’t miss out on a private NYC photo tour, including professional photos of your group to keep! This 16-year-old installation, meant to capture “life in New York,” is one of the city’s best pieces of art in the subway. 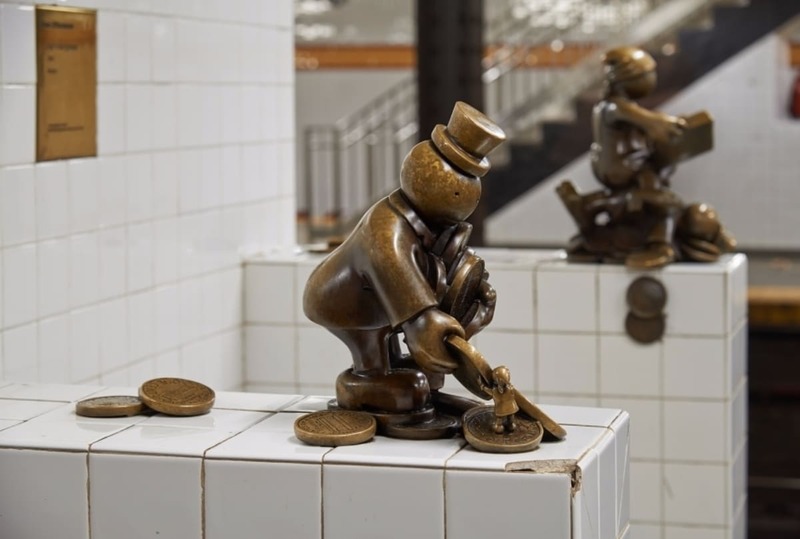 Artist Tom Otterness used over a dozen bronze sculptures to depict everything from the homeless being watched over by police to New York’s famous sewer gators chomping on the head of a wealthy citizen. It’s easy to rush through the city when it comes to a commute, but these playful figures are worth slowing down for! 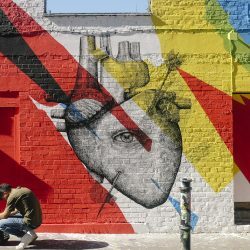 Flushing is often noted as one of the most diverse neighborhoods in the city—a fact that Ik-Joong Kang made a point of celebrating with this art piece. Happy World uses over two thousand hand-painted ceramic tiles to depict various aspects of the large world Kang saw in Flushing and beyond. This includes many different people, events and views of NYC. With so much happening all at once, it can be comforting to see it condensed into a single installation (even if condensed refers to over two-thousand tiles!). Suspended above the N/R platforms of this station, there is a green bar with sensors that run along its side. While this horizontal rack has a tendency to go unnoticed by commuters, it’s actually a brilliant piece of interactive art in the subway that encourages New Yorkers to communicate with one another, even at their busiest. 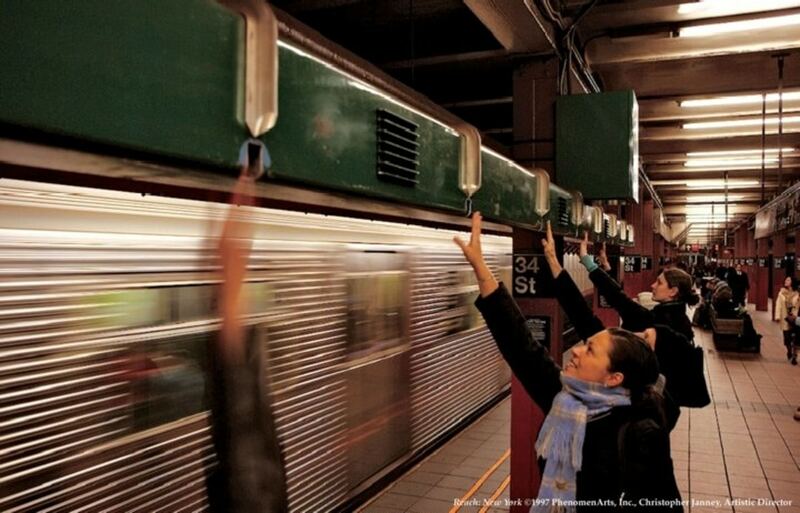 Waving your hands in front of the sensors causes a light to flicker on, and a sound to come from the rack on the opposite platform.With this unique musical instrument, those on the downtown and uptown platforms can interact without a single word! There are a number of creative reasons to make your way down to Brooklyn’s Coney Island. NYC street art is one, while the other is the artwork of Robert Wilson. 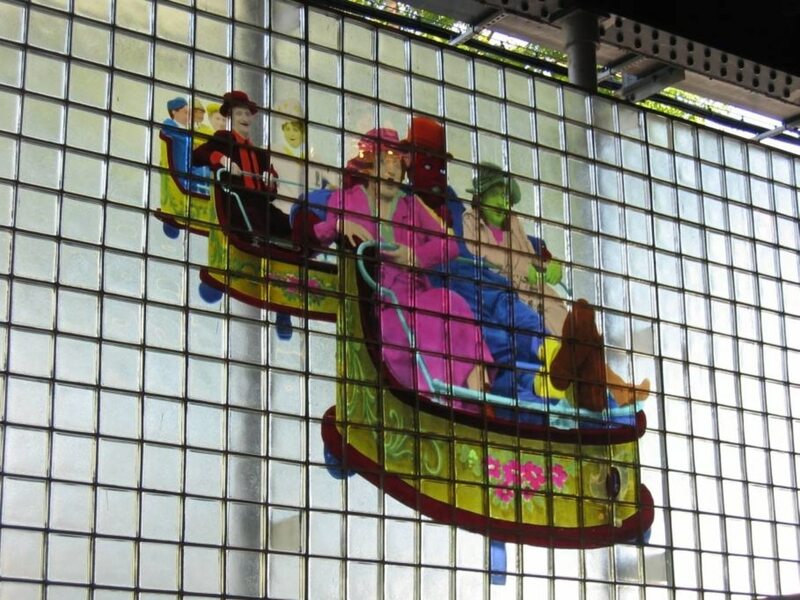 This installation features a wall of glass bricks showcasing silk screened images. The format of this unusual exhibit makes the pictures—like Nathan’s Hot Dog stand and Coney Island’s famous carousel—especially alluring on sunny days when light streams in, illuminating the images. Just one reason to plan your Coney Island trip for a sunny day! With the Second Avenue Station nearly a decade in the making, artist Jean Shin had to pull out all the stops when planning her contribution. Sure enough, her mural “Elevated” is a standout even among the world class art of this brand new subway line. 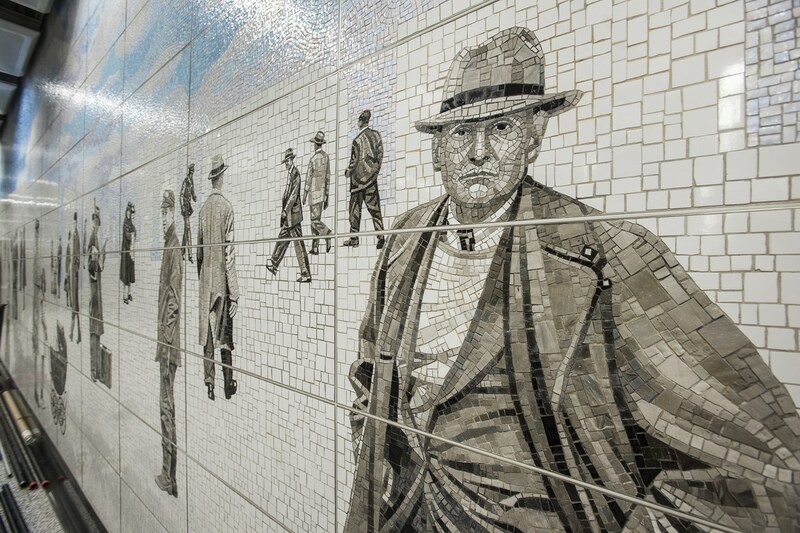 This piece spans over three levels of the station, depicting the construction done to dismantle the Second and Third Avenue line, along with stills of commuters — all of which are composed of ceramic tile, glass mosaic and laminated glass. This piece works to connect the past of New York to the present. And this is something you can be a part of for yourself, now that this new subway line is open! 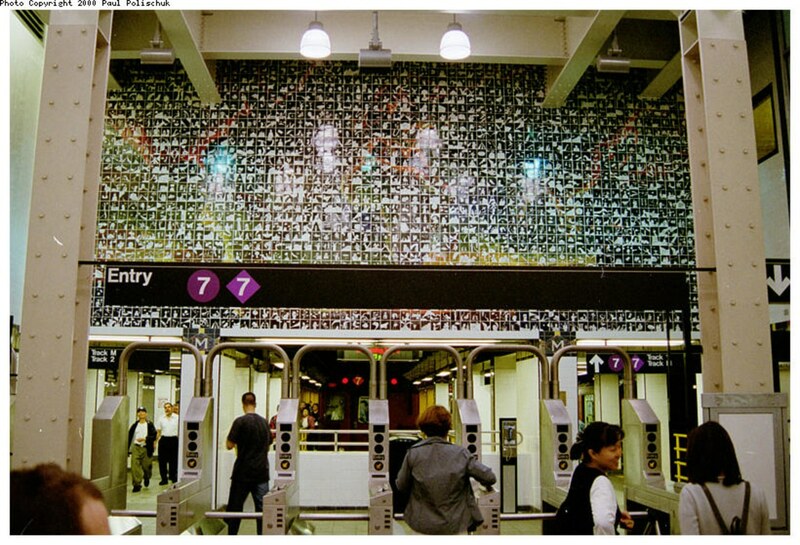 Where is your favorite place to see art in the subway? We’d love to hear in the comments below! Shania Russell is a senior at Bronx Academy of Letters with a passion for writing. Using programs such as Young Playwrights Inc., The Moth and Girls Write Now, she has done her best to channel these passions into work to be proud of. When not busied with her tendency to overextend herself with various projects, she can be found with her nose in a book or humming the tune of whatever musical soundtrack she is obsessed with that week. I love how decked out the subway is. And yes, Flushing is one of the coolest areas for sure. Can’t wait to be back in NYC in a week! I’m sure I’ll spot even more cool art.